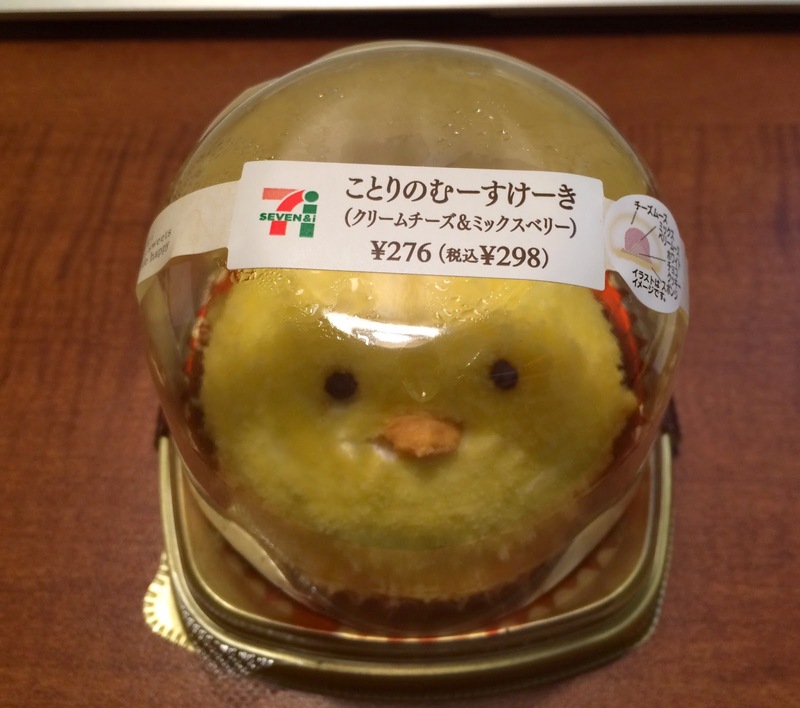 I happened to find a very cute cake at Seven Eleven. It's a chick shaped cake called "ことりのむーすけーき (Bird Mousse Cake)." * They didn't use Kanji or Katakana and everything was in Hiragana, and I had an impression that it's soft cute. In parenthesis, it says cream cheese & mixed berries, and there's an image with explanations of the flavors. Strawberry, blueberry and raspberry were used in the berry mousse. 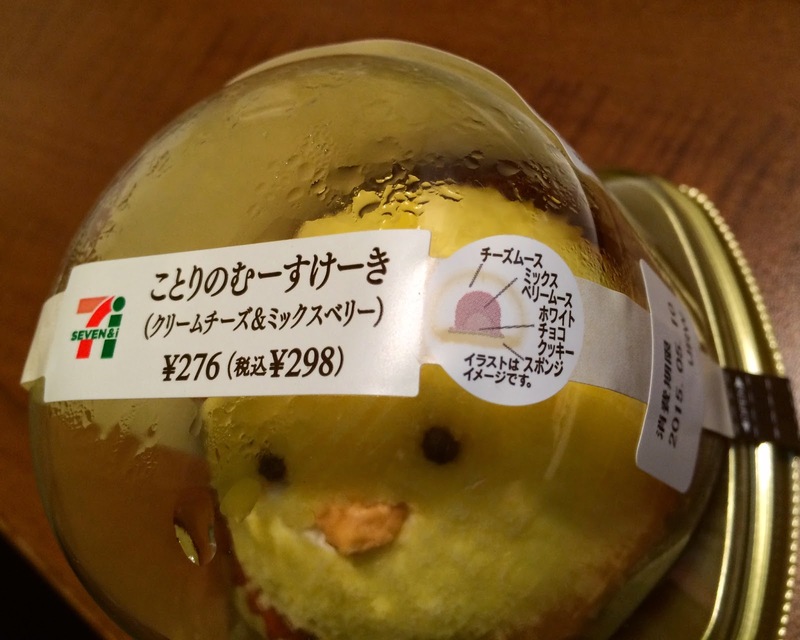 As there're condensations, it looked like as if the yellow bird was breathing in the cup. When I bought this cake, a cashier brought a paper bag which has a gusset at the bottom so that the cake would be carried straight and stable. 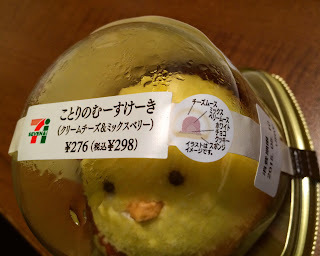 I tried to find a press release, but I couldn't find any info even on the Seven Eleven's HP. 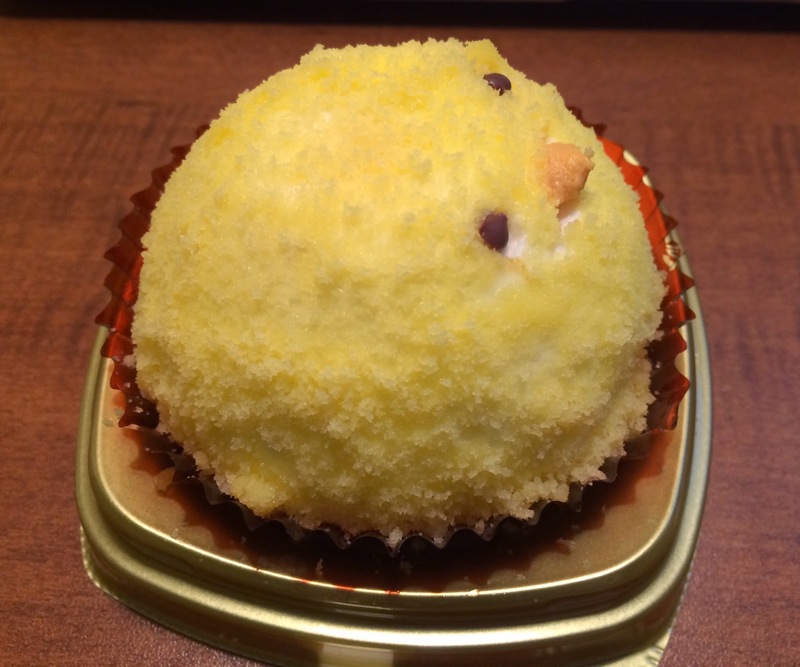 According to some articles, this mousse cake was first launched locally, Sendai city and Saitama prefecture, at the end of January, 2015, and on February 27, it's sold nationwide but still the numbers were limited, they said. After taking the lid off, it looked like this. 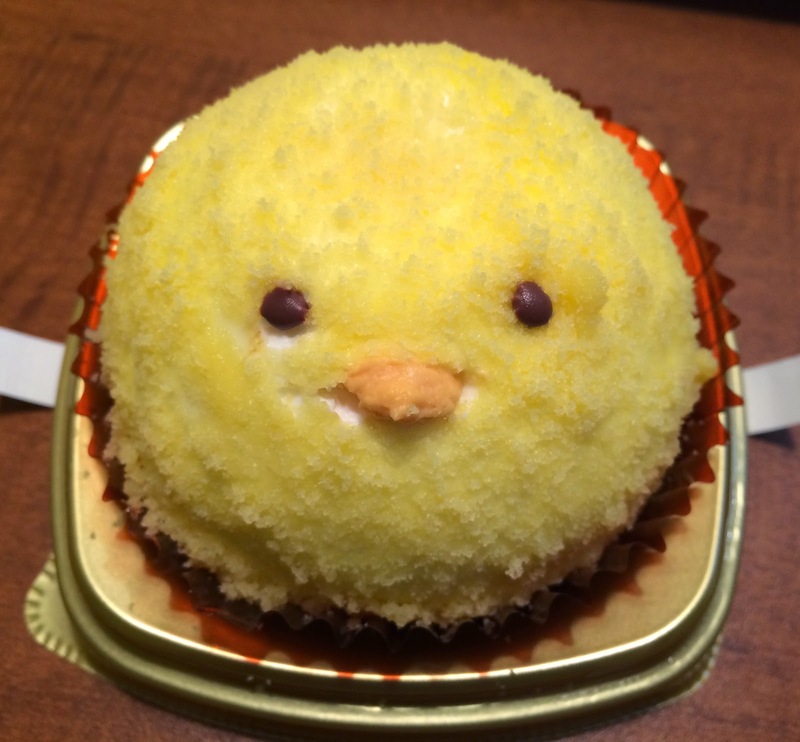 This bird was absolutely cute and looking at me, and it reminded me of Tabemasu Yo-Kai Watch. 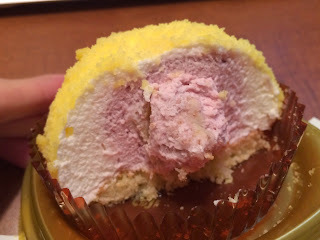 The outside of the cake was soft yellow sponge cake crumbles. 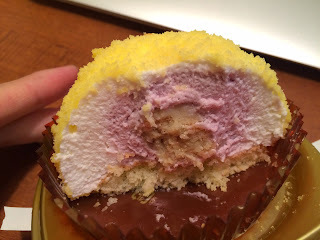 Underneath, there's cheese mousse, mixed berry mousse and sponge cake at the bottom. 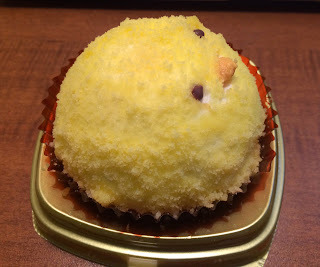 In the middle, there're white chocolate cookie crunch. 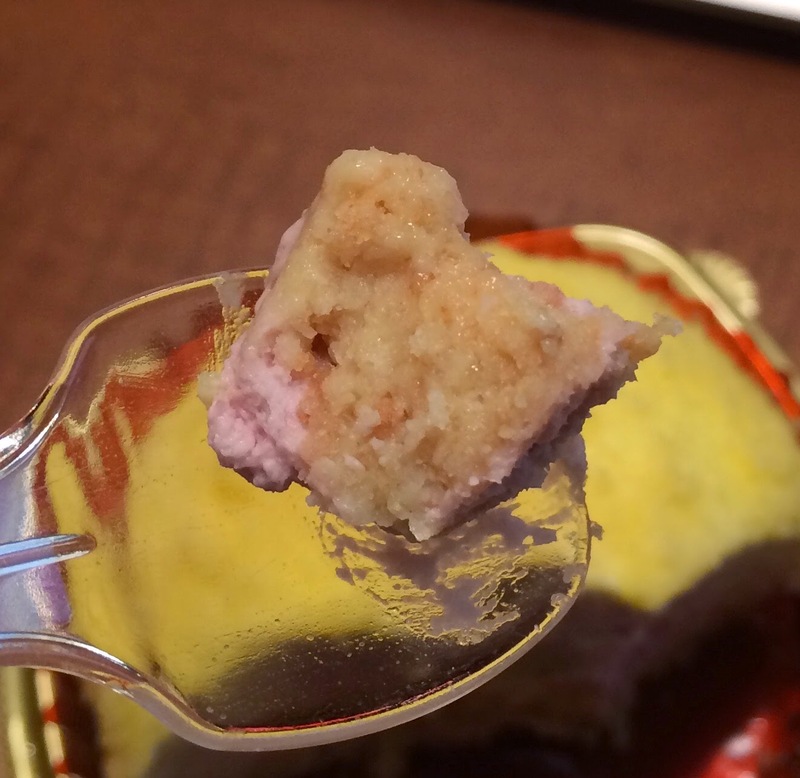 However, it's very tough like a rock and it never came off pieces but as a chunk, and it's hard to eat. This is how it looked inside. 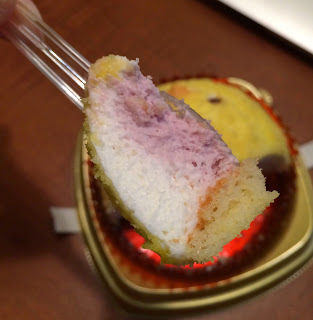 Both sweet and sour berry mousse and cheese mousse were airy and soft. 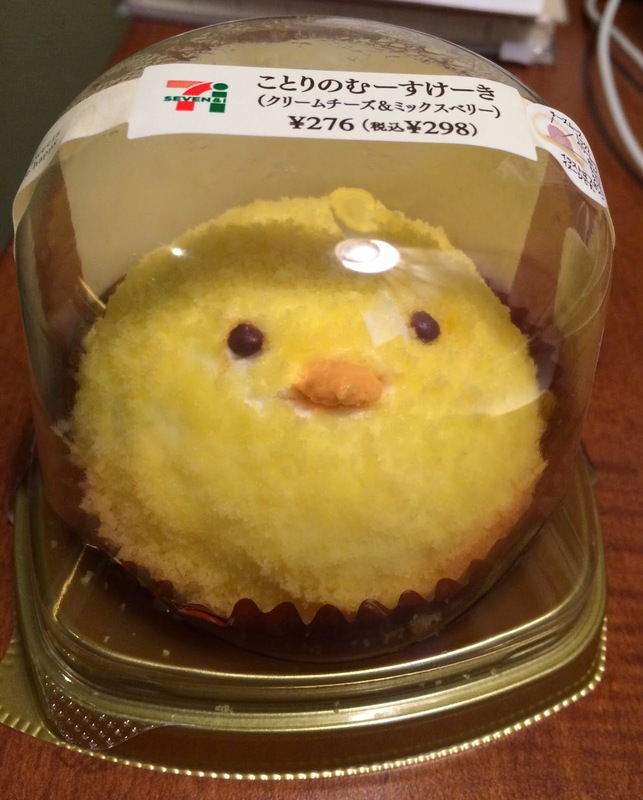 The eyes were made of chocolate and the beak was mousse, and some cakes had them dislocated and I carefully chose a good looking cake.